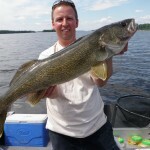 My “Take Away” for last week included my opinion that it is now summer and that there would be less focus on Bass and Pike and that guides would be searching for the big walleye bite. 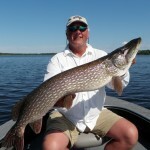 Well this week we did search out and find a big walleye bite, but we also had a huge big pike week and a good week for bass. I don’t mind being wrong when the fishing is this good. 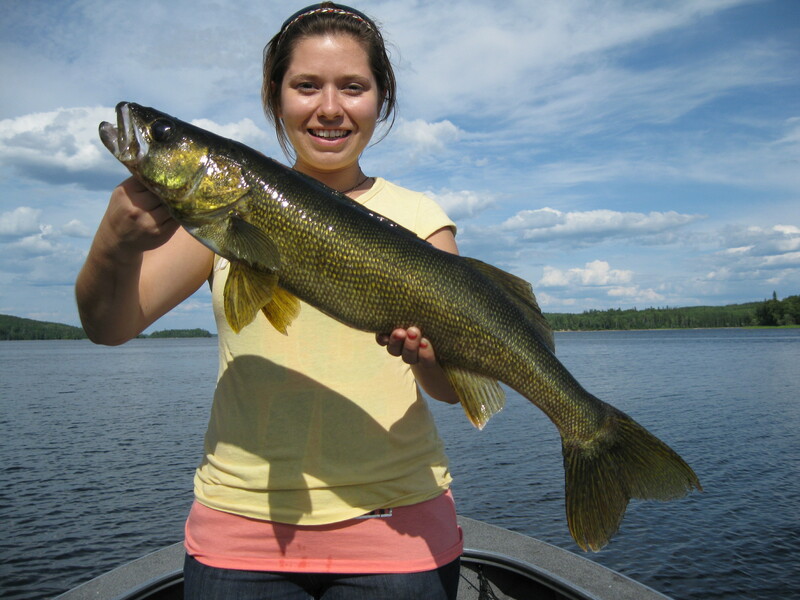 The Bass really are winding down as the week is ending, but we still managed to boat 82 over 17 in., including 5 – 19s, and 1 – 20. 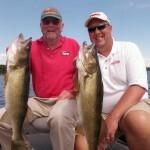 Tubes and topwater were first and second choice baits. The official end of bass season happens when we start to catch bass on main lake transition spots and that began on Thursday. 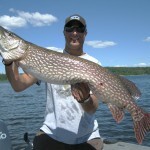 We had a few groups arrive this week that came in with the intention to chase big pike. 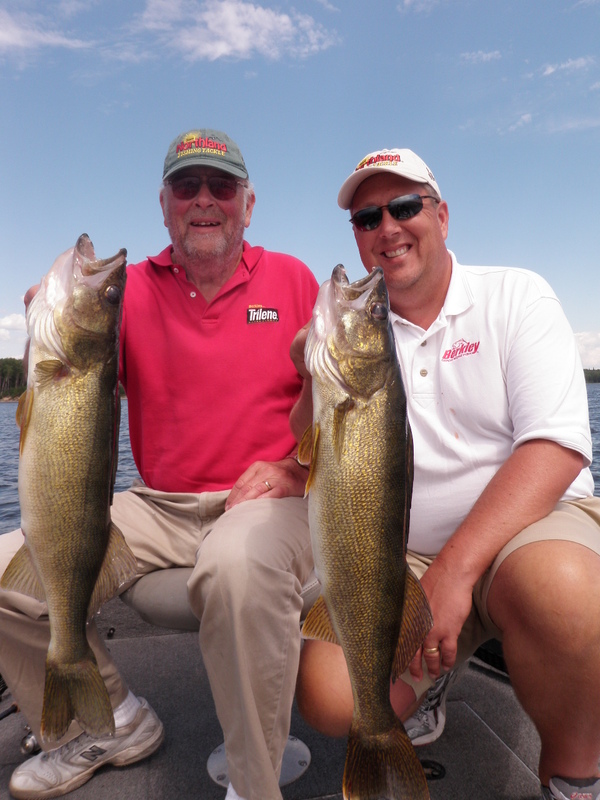 The guides lobbied to fish for big walleyes, but were talked into hunting gators. 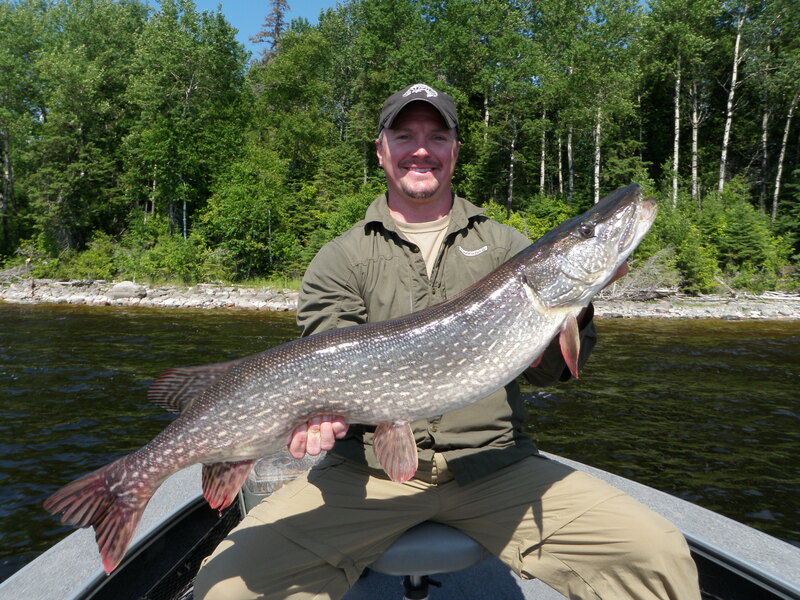 The guides spread out and searched summer, transition, and spring spots and we were surprised to find many big pike in the big weed beds on the outside of spring locations. 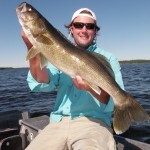 What was even more surprising is that some of the biggest walleyes of the week were caught from these same weed beds on big spoons and big in-line spinners in 4 – 6 ft. of water. 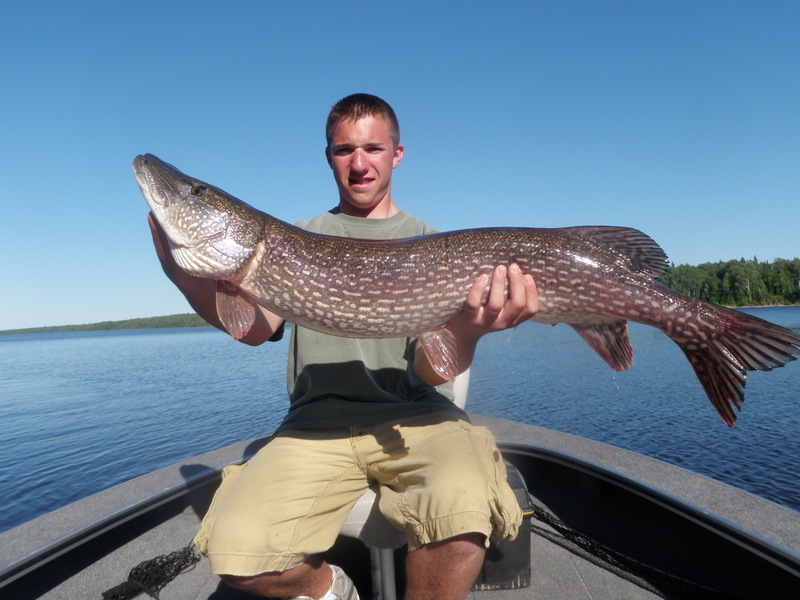 For the week, we had 25 pike over 37 in, including 4 – 40s, 1 – 42, and 2 – 43s. 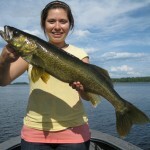 Last year at this time we were fishing walleyes on deep main lake sand structure in 20 – 30 ft. of water. We checked those locations many times this week and came up blank every time. 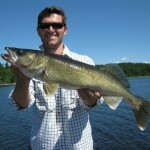 The weather has been warm, sunny and nice and the walleyes have been consistently shallow. 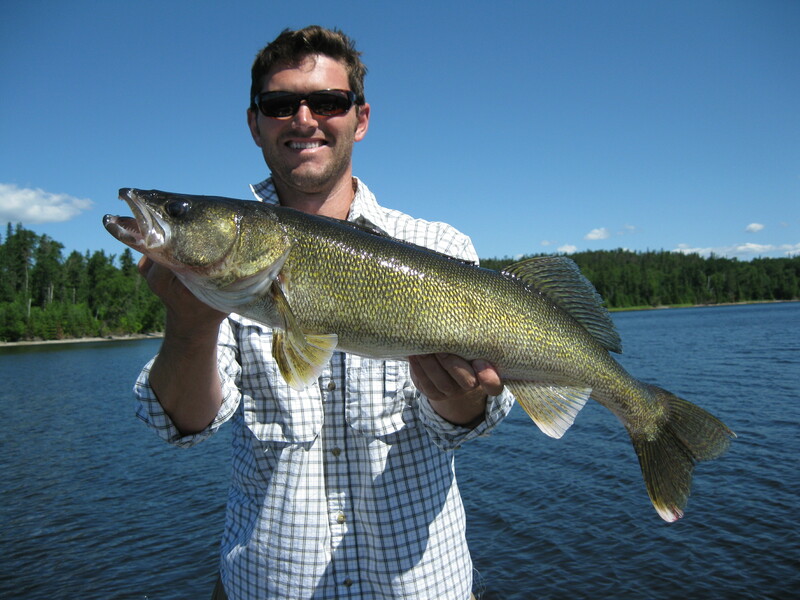 There have been pulses with fish into 2 – 4 ft., but most of the bigger walleyes were caught out of 8 – 14. Big plastics were huge this week and often outperformed live minnows. Gulp Alive Minnows in 4 in. and 5 in. Crazy Legs jerk shads were the top producers. 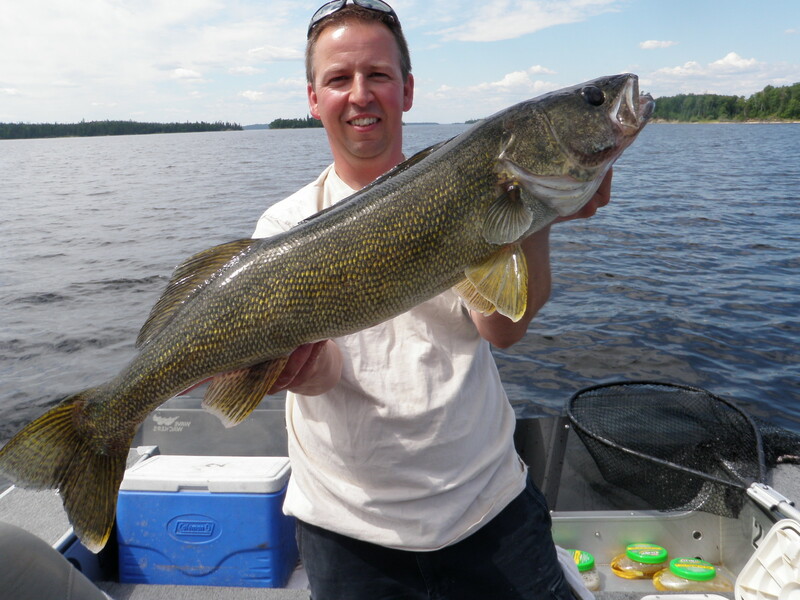 When the walleyes are in super shallow, they tend to be very aggressive and there was no need to slow play light jigs for most of the week. Jigs in ¼ to 3/8 with plastics were most productive when the fish were snapping and 1/8 oz. jigs with minnows fished slow turned fish when the bite was off. 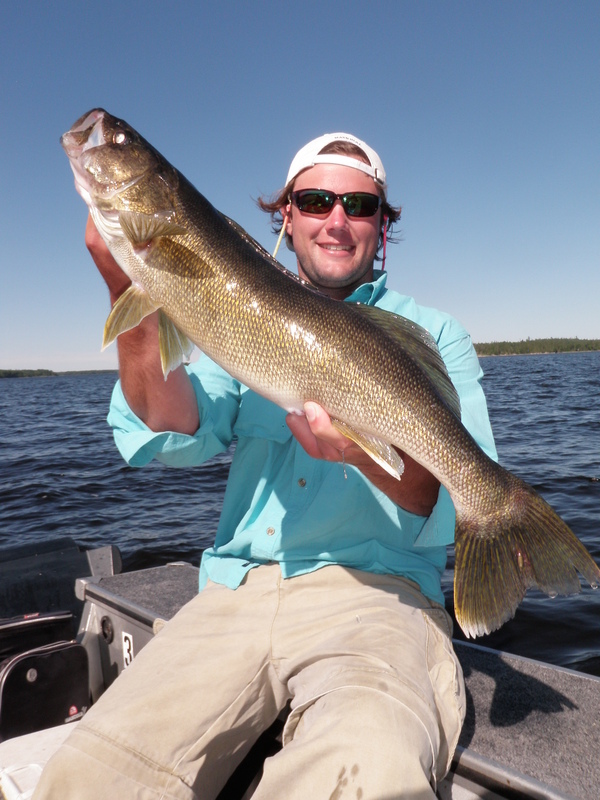 For the week we had an unbelievable 49 walleyes over 27 in., including 4 – 28s, and 4 – 29s. The Kicker: The incredible fishing this week was tempered by the fact that I had one group cancel for this past week and 3 other groups cancel for later July and Aug. 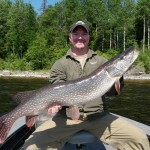 It is just a shame to have some of the best fishing of the year squandered with idle guides and an empty cabin or two. 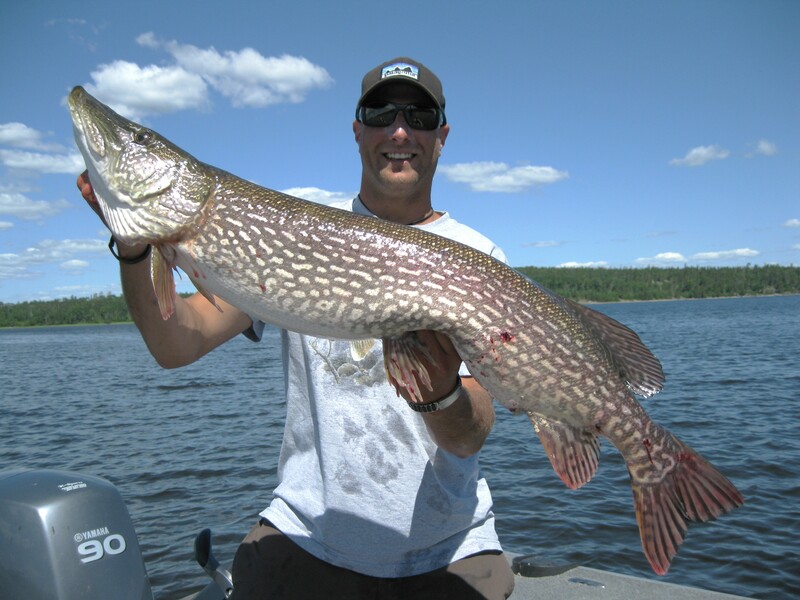 If you would like to fish with us just once or be part of our many return groups for years to come, Now is the time to give us a call or email.